I must confess that this baffles me. An NTL is not an agreement of any sort. Rather, it is a statement that, at the moment in time that it is issued, the bank is not a target of a DOJ criminal investigation (presumably a grand jury investigation). There is always the possibility that DOJ Tax could receive information or discover information already in its possession that would make the bank a target. And, if it were to do so, the NTL would have achieved absolutely nothing for the bank. Note in this regard that the bank has to waive all defenses related to the statute of limitations or delays in indictment. 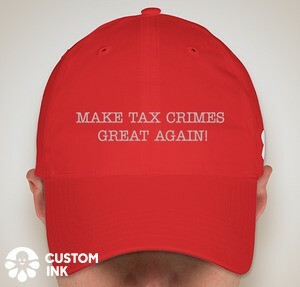 (I am not sure how important the statute of limitations waiver is because among the panoply of crimes that could be charged are tax crimes for which the statute is suspended while the person is out of the country). Even worse, the process of seeking and obtaining an NTL requires representations of the type that would like constitute a criminal offense (e.g., false statements under § 1001) if the bank should have been in Category 2. Now, I have sought and obtained letters from prosecutors of grand jury investsigations that my client was not a target. Further, at the start of a proffer session with the prosecutor assigned to a grand jury, I always seek and received oral assurances that my client is not a target. (If I don't get that assurance, the proffer session concludes post haste.) In one case where the prosecutors gave the assurance of nontarget status, the tone of the questioning clearly established that my client was indeed a target despite the oral assurances. So, whether written or oral, such statements of Non=Target status provide no protection, except perhaps if a strong case could be made that the prosecutor was untruthful in the proffer session as to the witness's status, in any subsequent prosecution, the witness might be able to exclude any of the statements made in the proffer session (provided that the client did not lie in the session, since such inducements do not give license to the witness to lie). Finally, merely asking for an NTL invites DOJ Tax to take a hard look at the bank. DOJ Tax may have other information and read the facts differently than the bank. The mere process of applying and processing could turn the bank into a Target because it should have joined as a Category 2 bank but did not. I urge readers to comment on what I may be missing here. Was it a smart move or not for Swiss Banks to seek Category 3 or 4 NTLs? Did Any Swiss Banks Seek or Obtain Category 3 or Category 4 NTLs? I would love to hear from readers as to the banks actually getting NTLs, along, if possible, with a source for the information (preferably a publicly available source. Vantobel - Category 3, here at p. 25 (where it is mentioned under the topic success in attracting top talent, which means that the bank was focused on the reputational concerns. I have not confirmed that any bank joined as Category 4.